This month visitors to Exeter’s Royal Albert Memorial Museum can enjoy three new exhibitions: Benedict Rubbra: Eye to Image, Quay Views: Exeter Canal and the Exe, Social Fabric: African Textiles Today. There’s also Exeter’s Fine Art and a last chance to see the Express & Echo Local Art Show. Displays include pottery prime ministers, work by Devon artists and a contemporary artwork. Special events include live music; classical and Indie-folk, a class in identity, family activities, lectures, tours and talks. Special events are listed below, followed by activities for children and families, the adult course, exhibitions then displays. The Mad Hatter’s Tea Party with The Carny Villains on Saturday 2 May, has been postponed to the autumn. All tickets will be valid for the new date unless a refund is preferred. The new date will be announced shortly. Listen to the birds singing the dawn chorus and share your thoughts. Does it have a calming and relaxing effect on you? Does it make you smile? No need to be an expert; just share your encounters on Twitter and Instagram. Use #RAMMdawnchorus for your tweets and photos. A new addition to RAMM’s BSL signed videos is now available on YouTube. Signed videos introduce the museum and its collections. This new guide has been produced specially for children in conjunction with the Exeter Royal Academy for Deaf Education. Dr Jameson Tucker of Plymouth University discusses protestant Huguenot identity, politics and their subsequent adaptation to life in the southwest of England after fleeing France following the revocation of the Edict of Nantes by Louis XIV in 1685. Part of the Huguenot Summer 2015 festival. Join a 60-minute tour of RAMM’s galleries. All tours of RAMM’s galleries are available for private group bookings on mutually agreed dates. One-hour volunteer presentations are available for groups and society: RAMM or St Nicholas Priory (minimum donation of £40 to the RAMM Development Trust) or the 22,000-coin Seaton Down hoard and Roman Devon (Minimum donation £40 to the Seaton Down hoard fund). Contact ramm.extra@exeter.gov.uk or 01392 265984. Dr Phil Wickham from The Bill Douglas Cinema Museum will describe how myrioramas worked and Mark Anstee will describe how history met artist resulting in a new addition to the experience of RAMM. Helen Dunmore’s work has achieved notable success in a wide variety of genres – novels for adults, poetry, short stories, children’s fiction and picturebooks. She won the inaugural Orange Prize in 1996 for Fiction and her latest novel, The Lie (2014), is a bestseller. A former Chair of the Society of Authors, she is a Fellow of the Royal Society of Literature, as is Lawrence Sail, the Exeter-based poet. Together they discuss the writing life, in the close context of their own work. Organised by RAMM Development Trust, Registered charity no 1038570. The trust raises money through its patron scheme, sponsorship, events and grant applications. Tickets are available online or from the Royal Albert Memorial Museum reception in person or by phone using a credit or debit card on 01392 265858 during opening hours: Tuesday to Sunday, 10am to 5pm. Across the country museums open their doors for curious night time events. Enjoy the beauty of the Victorian museum in twilight. This promises to be a special one: Indie folk band Stornoway will play. It's part a nationwide tour to celebrate the release of their eagerly anticipated third album. The band rose to national prominence in 2009 following a haunting performance on 'Later with Jools Holland'. Following this, Stornoway became the first ever unsigned band to play Glastonbury's Pyramid Stage. The success continued with two top 40 albums and globe-trotting sell out shows. The rest of the museum will open to enjoy. Bristol-based Nuala Honan & Kit Hawes, with powerful vocals and virtuoso guitar they play Americana and folk and are mainstays of the festival scene. Cavermouth, the blues trio led by singer Alex Forster - fresh from their Hong Kong show warming up for Franz Ferdinand. Benedict Rubbra talks through his ideas about continuity and his search for a balance between chaos and order and the development of a technique that is based on the idea of making his own space in which he can express himself. Accompanying the exhibition Benedict Rubbra: Eye to Image, 2 May to 2 August at RAMM. Wednesday 20 May. Doors open at 6.30pm. Drinks, £2 donation. 7.30pm start. £18 (£16). Three concert series £50 (£44). Patrons 2 for the price of 1. BEETHOVEN: Sonata No.9 for Violin and Piano "Kreutzer"
Organised by RAMM Development Trust. Registered charity no 1038570. The trust raises money through its patron scheme, sponsorship, events and grant applications. Tickets are available online or from the Royal Albert Memorial Museum reception in person or by phone using a credit or debit card on 01392 265858 during opening hours: Tuesday to Sunday, 10am to 5pm. Visit RAMM’s stand at Devon’s premier show. Billed as Devon’s Big Day Out, the County Show is a showcase for aspects of life and work in the county as well as entertainment, shopping and good food. Join a 40-minute tour of RAMM’s internationally significant World Cultures collection which includes objects from the Pacific, Africa, the Americas, Asia and the Near East. A chance for under-fives to take a journey of discovery and make collections-inspired creations. Parents, grandparents and carers can enjoy quality time with their little ones in a friendly, social environment. Book in advance through The Creation Station T 0844 824 4534, M 07925 653942, E erinblake@thecreationstation.co.uk. Following the creative methods used by Benedict Rubbra in the current Eye to Image exhibition, create your own three-dimensional work of art and use a torch or coloured light to inspire a painting. Adults are expected to stay with their children while they participate and must remain with them if they are under 8 years of age. Some activities are messy so please wear clothes that can get dirty. Aprons will be provided. Tickets can be purchased from the Garden reception. An opportunity to explore the theme of identity in relation to objects and collections. People’s attraction or repulsion to objects reveals aspects of who we are and our place in the world. Taking an innovative look at RAMM’s displays and handling collections, participants will work on a portfolio of creative work to take away. This course is for anyone affected by mental health issues who feels their identity has been compromised in some way. An exhibition of paintings by Francis Hayman, an important Devon born artist of the 18th century, alongside topographical prints and drawings of 18th- and 19th-century Exeter. RAMM’s portrait of the artist Francis Hayman by Joshua Reynolds will be on public display for the first time. This important work was purchased after a fundraising auction organised by the Friends of the Museum and a successful application to the V&A Purchase Grant Fund. The display will also include self-portraits and portraits by Hayman himself. A Devon-born artist, Hayman was a founder of the Royal Academy and a friend to both Reynolds and William Hogarth. He also influenced the young Thomas Gainsborough. His portrait by Joshua Reynolds, the most influential Devon-born artist of all time, makes an ideal addition to the RAMM collection since the artist and sitter shared a common bond as fellow Devonians. At this point in time Hayman’s career was in decline as his rococo style fell out of fashion. By contrast, Reynolds emerged as the predominant British portrait painter of the 18th century. The RAMM collection of topographical prints, drawings and watercolours is a rich source of information on the appearance of Exeter during the 18th and 19th centuries. However a group of watercolours in this display will also show the city as it was in the early 20th century, shortly before the devastation of the Second World War. From time to time the galleries will be closed for special events; please check before travelling. The annual Express & Echo Local Art Show gives art groups and societies from Exeter and the surrounding area the chance to display their members’ work in an exhibition at RAMM. Shortlisted entries are featured in the Express & Echo and readers invited to vote for their favourite. Seven local art groups are competing: Art Haven, Devon Art Society, Exeter Art Society, Farringdon Society of Arts, Green to Grey, Topsham Art Group and United Through Art. Their statements and a full gallery of pictures can be seen on the Express & Echo website. The previous winners are Sense (2014), Hive Art Group (2013) and Fairstream Arts (2012). 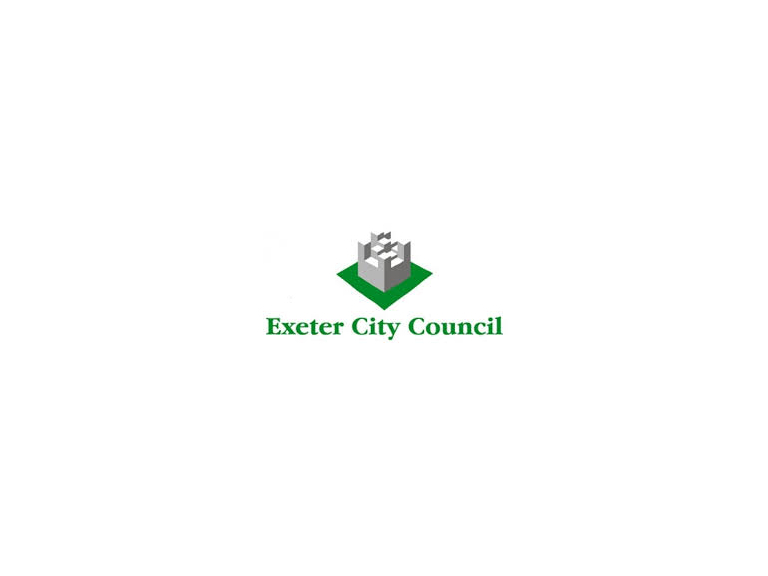 First constructed in the 1560s, Exeter’s canal system has been extended and upgraded over the centuries. Now used primarily by leisure craft, the city waterways were once vital to the regional economy. The decline of the West Country wool trade and the arrival of the railways in the 19th century led to a reduction in use. However, sizeable cargoes were still brought up to the quayside even after the Second World War. For three centuries, visiting and local artists have been inspired by the combination of water and architecture in and around Exeter. RAMM’s Fine Art Collection is now an invaluable visual record of the city before the major redevelopments of the late 20th century. This is the first major exhibition dedicated to this Devon-based artist’s search for a harmonious relationship between form, colour and light. Paintings and drawings spanning four decades trace the development of his singular technique. The works all originate from three-dimensional forms constructed from various materials such as paper and card or wire and wood. Vibrant shapes of light are then projected onto these forms, creating unexpected spaces and colours, tones and shadows. Changed lighting transforms the object’s appearance, allowing the creation of further paintings and drawings from a single form. Inspired by Florentine renaissance artists like Fra Angelico, Donatello and Brunelleschi, Benedict’s work stems from his understanding of control, freedom and the timeless emotional strength that they achieved. His publications are: Painting Children (1993), Benedict Rubbra, Paintings 1958-1998 (1998) and Benedict Rubbra, Point of Balance (2008). An exploration of the history, manufacture and social significance of African printed and factory-woven textiles. The designs mirror the convergence of African tastes and patronage with strong historical and contemporary trading ties from across the globe. These textiles have also influenced some of the region’s foremost contemporary artists and photographers. Social Fabric shows examples from eastern and southern Africa including kanga from Kenya and Tanzania, capulana from Mozambique, and shweshwe from southern Africa. These cloths have the ability to mirror changing times, fashions and tastes. They provide a detailed chronology of the social, political, religious, emotional and sexual concerns of the (mainly) women who wear them. Their patterns and inscriptions vary according to the age of the wearer and the context in which the cloth is worn. Their unspoken language may be used to suggest thoughts and feelings which cannot be spoken. They are worn in secular and sacred contexts and play a central role in all of the major rite-of-passage ceremonies in women’s and, in some cases, men’s lives. A British Museum touring exhibition. Supported by the John Ellerman Foundation. Anstee’s RAMMYRIORAMA is a play on the myriorama – a Victorian spectacle of moving images. Pre-dating film, these monumental scrolls unwound to reveal painted panoramas of great historic events, heroic battles or epic journeys through newly discovered foreign lands. Mark Anstee has produced a hand-painted poster that advertises the RAMMYRIORAMA, which promises a grand tour of the world as seen through many of the objects in RAMM’s World Cultures collection. Mark has been commissioned to make site-specific drawing projects indoors and in the landscape for over 15 years. He has been both Leverhulme Artist-in-Residence at Stonehenge and Artist-on-Manoeuvres onboard HMS Bulwark. Artists Reflections is funded by Arts Council England’s Major Partner Museum programme. The list of artists was drawn up by RAMM’s Contemporary Arts Panel, in consultation with Arts Council England and Arts Council Collection at Southbank Centre. Mark Anstee’s reflection on world cultures is the second of four and follows Polly Morgan’s response to natural history. A special display featuring contemporary local collections. This changing programme continues with a collector who has a passion for political commemorative china featuring a selection of prime ministers from past to present. Do you have a collection that you would like to exhibit? Email ramm@exeter.gov.uk. Chris Watson, one of the world’s leading wildlife recorders, is bringing sounds from rural Devon into the heart of RAMM. Four seasonal recordings from a variety of locations will be used to create a changing soundscape evocative of Devon’s diverse ecosystems. Chris Watson is a BAFTA award-winning audio recordist who has worked with the BBC on many of their best-known natural history productions including Tweet of the Day, Frozen Planet and The Life of Birds. Ebb and Flow has been made possible through New Expressions 3, a national programme fostering collaboration between contemporary artists and museums and is supported by the National Lottery through Grants for the Arts. Local artists celebrate the beauty of Devon’s coast, country, cultural history and Roman roots using a range of media. Inspired by the splendour and diversity that characterises the county, all the displayed works are available for purchase. Natural history collecting and recording at home and abroad during active service. Over the 2014 to 2018 commemoration period one of the cases in RAMM’s courtyard gallery will show objects that reflect life in Exeter and Devon during the First World War, a time of momentous change for individual people, families and society. Part of RAMM’s four-year programme of exhibitions, displays, events and activities that focuses on the First World War’s impact on the people and landscape of the Southwest. Developed with regional and national partners, it examines the wider social and cultural changes that have had a lasting effect on our everyday lives. In 1899, at the age of 90, unmarried and with no children, Henry Vaughan bequeathed one of the biggest private collections of art to several major British public institutions. What isn’t common knowledge was that before this bequest was made, Henry Vaughan donated his father‘s small collection of ethnographic artefacts to the Albert Memorial Museum when it opened its doors to the public in 1868. In the last four decades, this collection has received much academic attention because of its connection to the second and third voyages of Captain Cook. The display tells the story of Henry Vaughan and the journey of those objects from the exotic South Sea Islands to Exeter. Part of Discovering Worlds, a Designation Development Fund supported project exploring the objects in and histories of lesser-known donors to Exeter’s historic Pacific collections.